Essays and peer-reviewed scholarship in Yiddish Studies, an interdisciplinary field that engages all aspects of Yiddish cultural production, especially in its relationship to other cultures and languages. Click here for a separate listing of open-access, peer-reviewed articles. 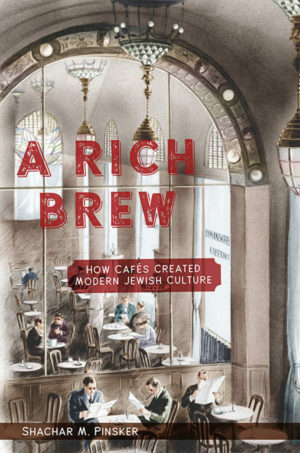 Shachar M. Pinsker’s latest work is a lively examination of the role of cafés as meeting grounds for Jewish writers and thinkers in the modern period of transnational migration, from 1848-1939.